Sea Fan kit with everything you need to create a beautiful thread embellishment. Thread embellishment kit for making sea fans out of thread. You will need any size embroidery hoop for this technique. Kit includes; 2 layers of 12 x 12" tulle, a 12 x 12" layer of water dissolvable stabilizer, 1 spool of Magnifico variegated thread, 1 spool of Fantastico high sheen polyester thread. Both threads by Superior. Pattern and instructions for the sea fan. 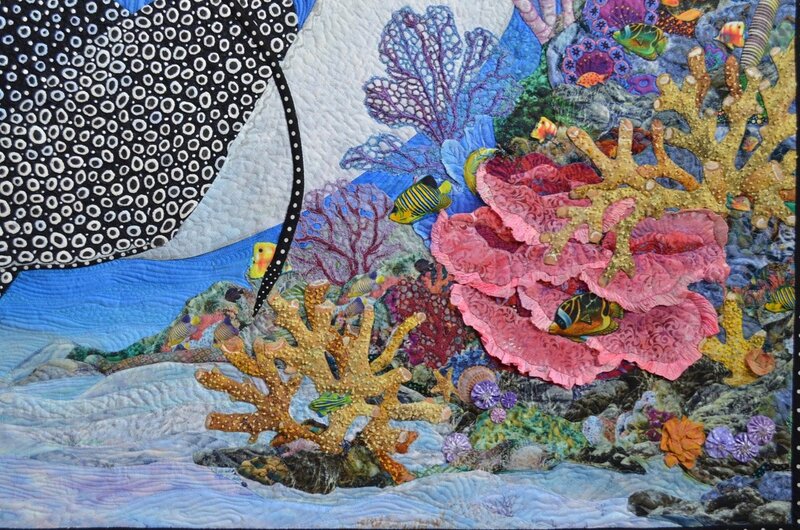 See video at to watch Kathy making this beautiful thread embellishment to add to any seascape scene..